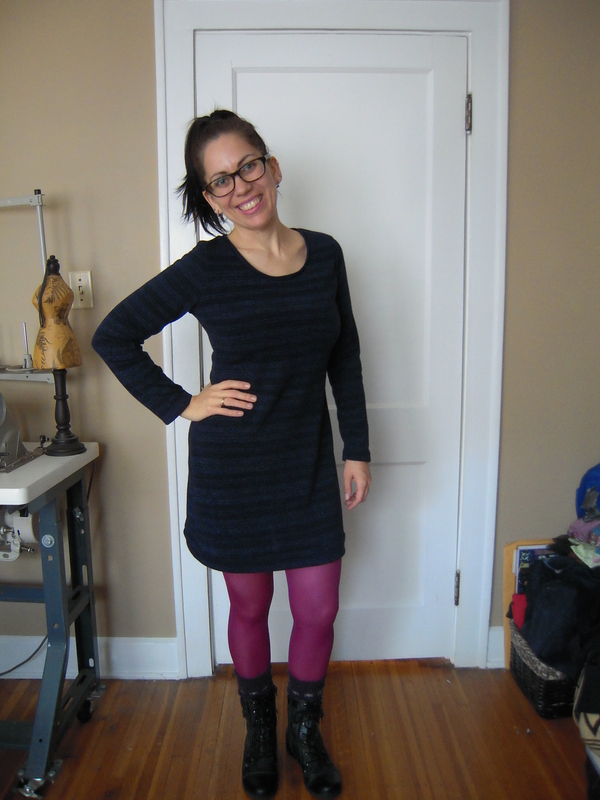 I have been on a mission to make a sweater knit dress and I finally figured out how to do it! After making my first Mission Maxi, I realized I wanted the shaping of that dress but with regular t-shirt shoulders, armholes and of course I really wanted long sleeves! So, I took the Sewaholic Renfrew (I’m SO late to this party) and used the shoulders and sleeves of it and then gently traced over the Mission Maxi for the waist and hip shaping. 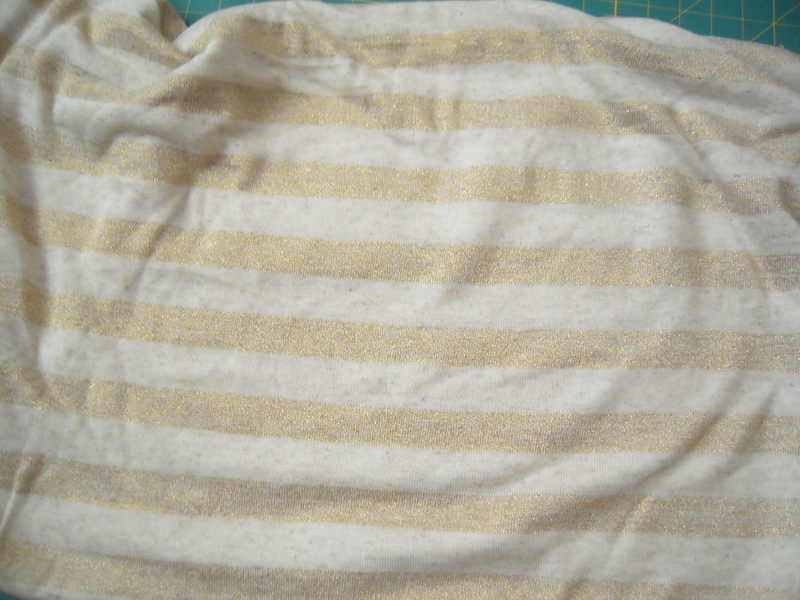 I did use the wider Renfrew bust area shaping because I wanted to give room for the thicker sweater knit. But I also used one size smaller on the shoulders of the Renfrew for a quick fit. I cut the size 8 sleeves which worked perfectly. I’m super happy with the outcome! 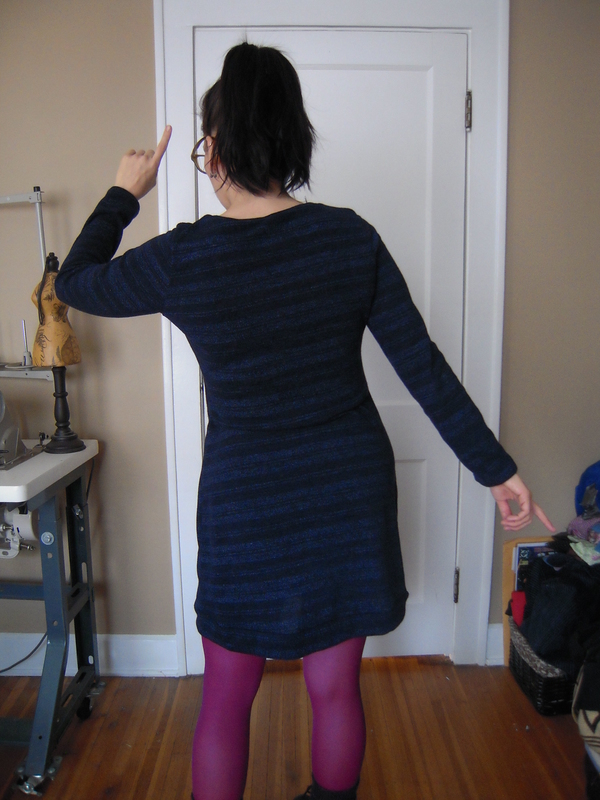 I already have planned to make some more of these sweater dresses. I made my own neck binding again and folded under the sleeve hem and zig zagged it. I also made a hem band for the bottom hem to make finishing fast and easy. At least that’s what makes it fast and easy for me. Below are the other two knits I bought when I was visiting Gillian and the sewcialists in Canada. This first one is thicker and I can see myself living in a dress made of it. It’s backed with something super soft and warm. This next one is just like the blue one but in a cream and sorta yellow. Anyone else looking in the direction of the sweater dress isle? Does that even exist? It should, right! Love both of your Mission sweater dresses! Yay for stripes! I was just thinking of the Lola! I’ve got to get that pattern. That’s really cute and I bet it feels good on. Looks just fine. I can see a cozy one for cool nights. I have a Maria Denmark Audrey dress in progress at the moment… I think I could adapt it to suit a fleece-backed-sweatshirt-type-o-fabric and in this weather I’d need it! That sounds so nice! And that’s exactly the kind of fabric I have! Come February I’m gonna be living in that dress. Sorry I forgot to say how cool your dress looked and I like the styling with your colourful tights too! I’ve been looking for a sweater dress (or at least the knit fabric) with long sleeves for years! For some stupid reason, everything is short sleeved. I may have to have some fabric custom made because I’m just not finding anything. How do you get fabric custom made? Like have someone knit it for you? Yep, that’s exactly how. =) I might have to have @ojollyknits make me some if it’s not too expensive because she has a knitting machine that can knit yardage. Thank you! I think this is the sweater dress year for me. Stay warm! i#ve been thinking of doing the same with the renfrew. or else frankenpatterning with the tira or red velvet skirts to make a dress. love your remission! I love it! Remission! Great one. Yeah, you gotta hack into that. Sounds awesome. A sweater dress aisle sounds like an amazing idea. 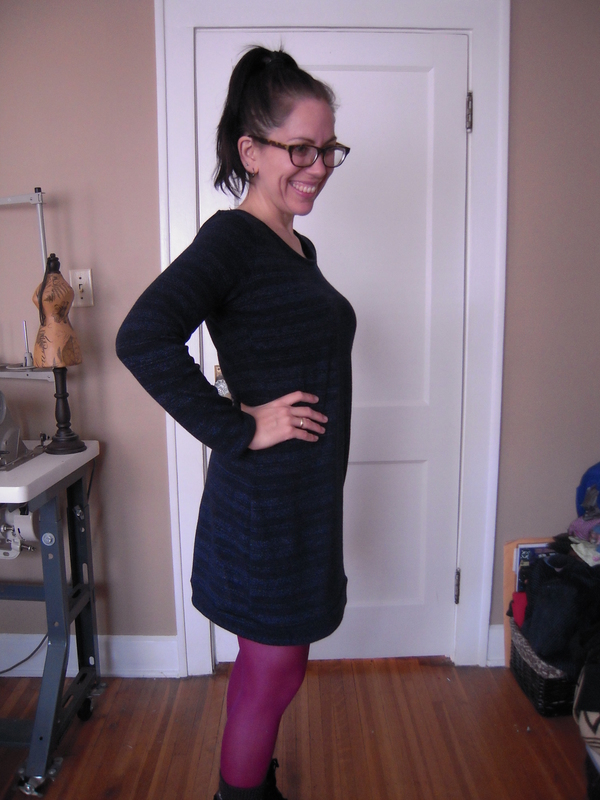 What I’d really love is to find some knits worthy of a sweater dress. That is the tricky part, isn’t it? Your Mission Maxi suggestion was perfect. Thank you! I love sweater dresses, and this one is fabulous! I love the Renfrew/Mission mix. Thanks Laura! It feels so nice! The more I think about this dress you have made, the more I realize how perfect it is and that I NEED the mission maxi pattern! It’s pretty awesome. I think everyone should make it once at least. perfect dress, i’ve been wanting something like this myself! Thanks! If someone finds a pattern like this I’d love to see it! But yeah, I’ve been searching and wanting something like this for forever. Can’t wait to see one if you make it. yay! This looks so great. Love the balance of the long sleeves and the shorter length. Thanks. I like that look, too. Juxtaposition is fun. Great pattern mash here. 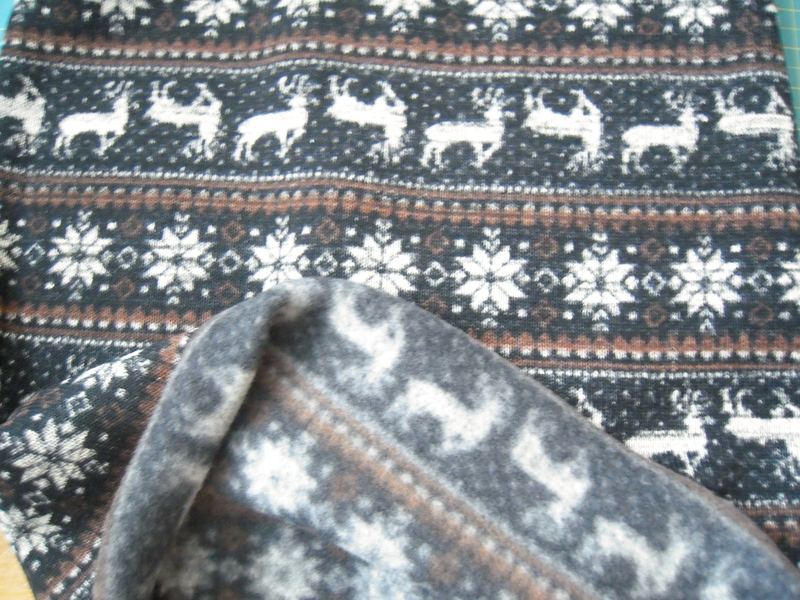 I’m going to be very jealous of the reindeer dress when you get it made up. The dress came out great! Love it with the purple tights. I love sweater dresses but they don’t always love my curves. My Lady Skater dress sort of does the trick, but I am planning a similar dress with more of a sweatery material. I wonder if I could make a Laurel sweater dress? a Laurel sweater dress would be super cute! yeah, they’re really just comfy for me, too!